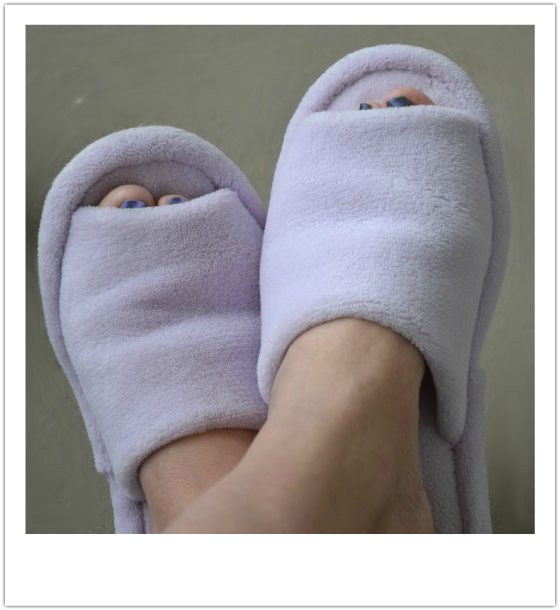 Stephanie's Bit By Bit recently reviewed Nature's Sleep Slippers . "The open toe memory foam slippers from Nature’s Sleep are made with high quality, genuine Nature’s Sleep Next Generation Memory Foam. You may be familiar with the comfort from sleeping on a memory foam bed or mattress topper – imagine walking on that cloud all day! To say these slippers are soft and comfortable would be an understatement, they are pure bliss,like walking on clouds. The high density memory foam insoles provides pressure relieving comfort by naturally conforming to your foot. The slipper also distributes weight to reduce pressure points and improve circulation..this is really great for me because of my issues with my legs,feet and because I am a busy mom with a 3 1/2 year old." Want to win your own? Thanks to Stephanie's Bit By Bit you can enter below! These slippers look soooo comfy! I would love a Fiji Gel Memory Foam Mattress! !